This past year has been the most memorable hunting season of all for me. I drew a Wyoming moose tag, which was a feat in itself. 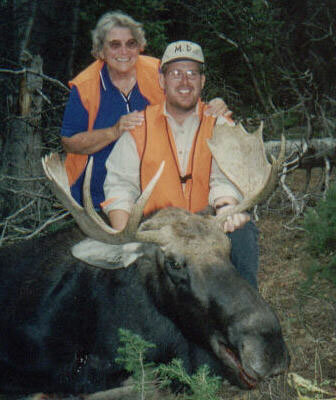 My mother, Dorris Lovrin, who hunts and who I've had many hunting adventures with, was able to accompany me. At 71 years of age, she surprises many as she treks out into the woods.